“Namaste.” Now you may go in peace. 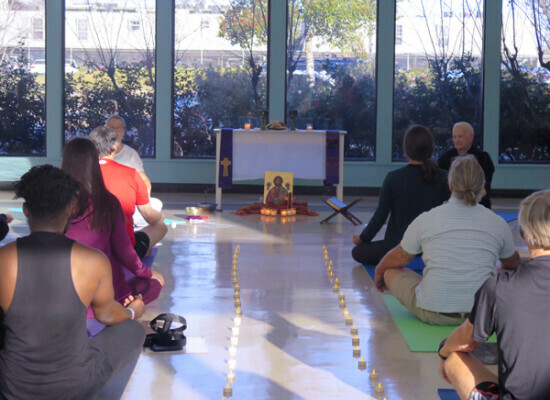 A group of people joyfully arose from their mats after the YogaMass™ at Grace Episcopal Church in Houston. That’s right, YogaMass™. It is exactly as it sound—worship and meditation to enrich your spiritual soul and experience a closer connection to God after receiving the Eucharist. The pioneer of this idea is the Rev. Gena Davis, Grace’s vicar. 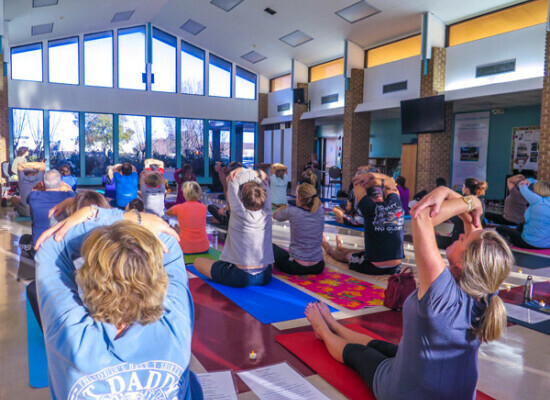 Davis, a certified yoga teacher, admits she had a nudge from God and from a friend to integrate yoga into her ministry. 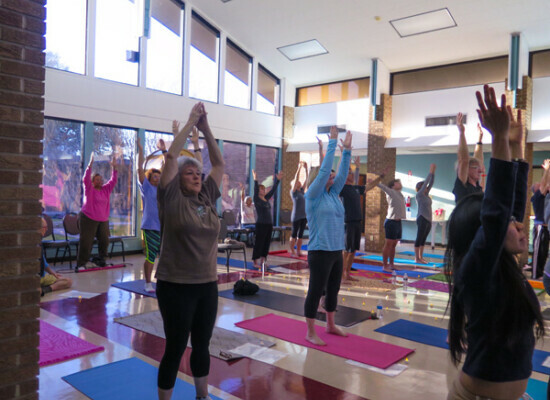 “I brought it together as a worship experience because I feel there’s a lot of people on their mats that I want to bring to church,” Davis said. Davis, joined forces with the Rev. Dr. John K. Graham, President and CEO of the Institute for Spirituality and Health at The Texas Medical Center, to increase awareness of the role that spirituality plays in health and healing, in coping with chronic illness, and in maintaining optimal health. 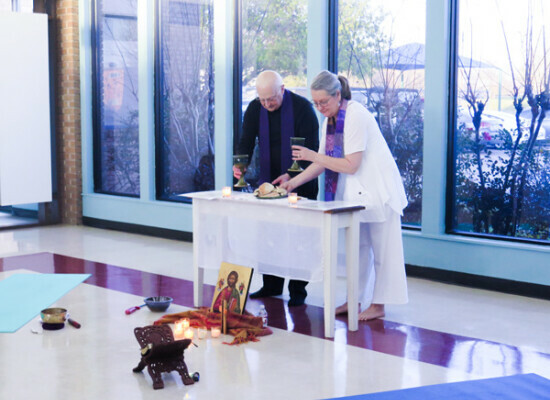 “We engage all our senses in the Eucharist,” Graham said. “The whole person is body, soul and spirit while the beautiful Eucharist stimulates and touches our heart and our soul in a way. 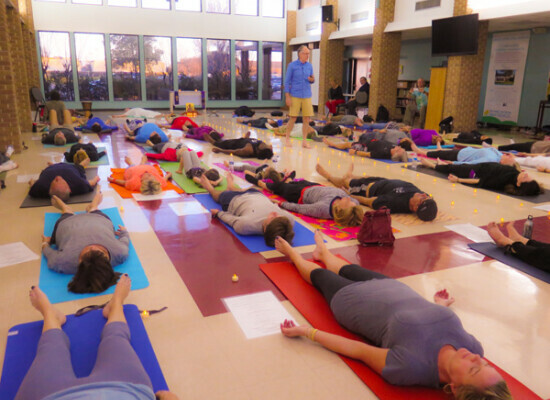 By integrating yoga we also integrate the body and that’s a holistic approach to the mass,” he said. Studies suggest that, aside from the health benefits, longevity is also increased by seven years if one is constantly engaged over a long period of time in spiritual practices. For Anyang Anyang, content manager at the Institute of Spirituality and Health, YogaMass™ has brought him closer to God. 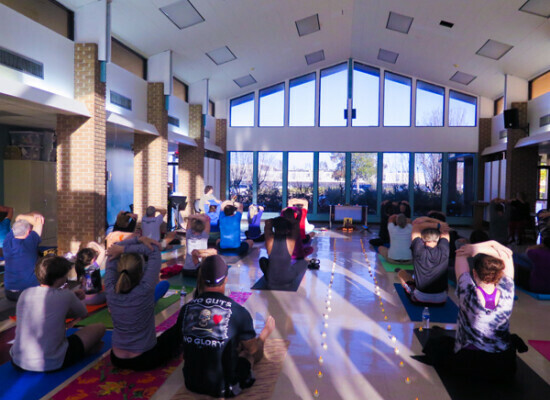 “When I heard about YogaMass™, I was able to re-discover so many truths in Christianity that I had taken for granted and YogaMass™ provided a perfect opportunity for me to carry that spirit of embodiment. I have re-discovered Christianity and the love of Christ in a very visceral sense,” he said. 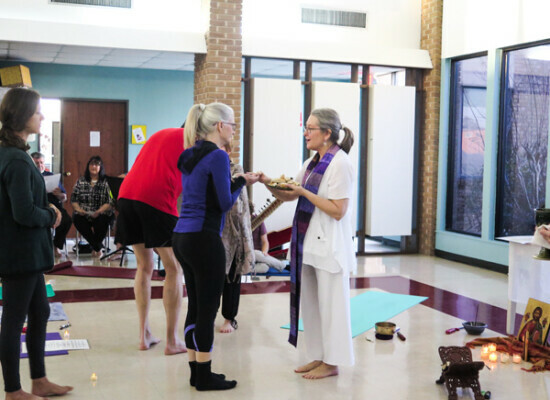 Tracie Bauer, yoga enthusiast and parishioner at St. Mark’s, Bellaire, brought her daughter to do yoga for the very first time. “The room is very welcoming. I love that you can go at your own rate. There’s not a mirror, it’s just peaceful, and the music really sets it apart. 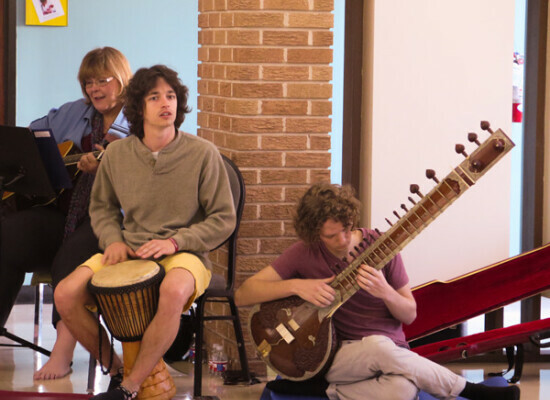 I’ve never really done yoga with live music, it’s just an easy place to be,” Bauer said. Davis’ main mission is about transforming hearts and minds and bringing the body into that transformation. It is not necessary to be a member of Grace. 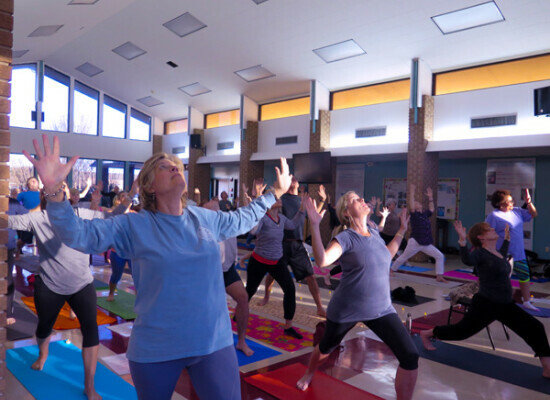 YogaMass™ is open to anyone no matter their religion affiliation and there are no age limits. 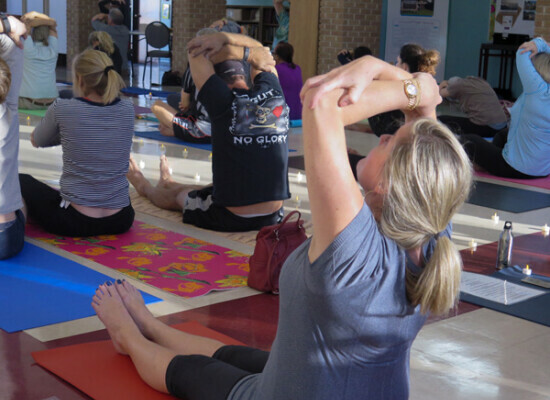 The next YogaMass™ will take place Saturday, April 2 from 5 – 6 p.m. at Grace, 4040 W. Bellfort, Houston TX 77025. For more information, please visit www.yogamass.com.